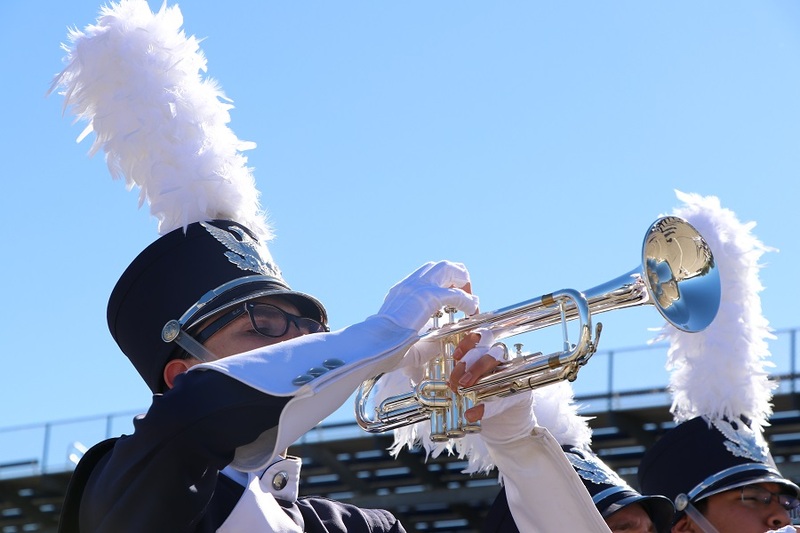 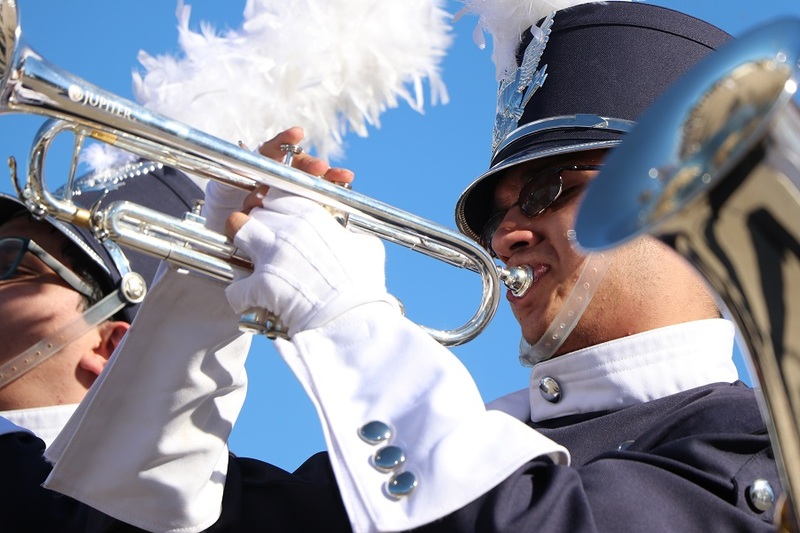 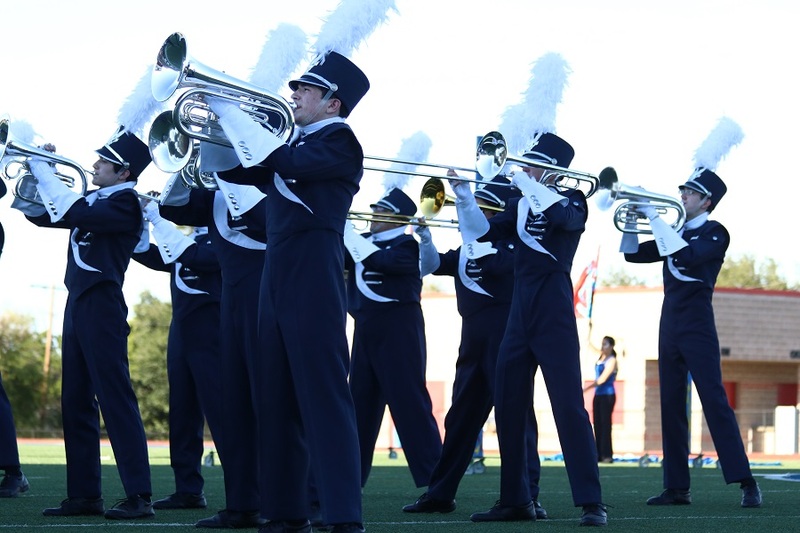 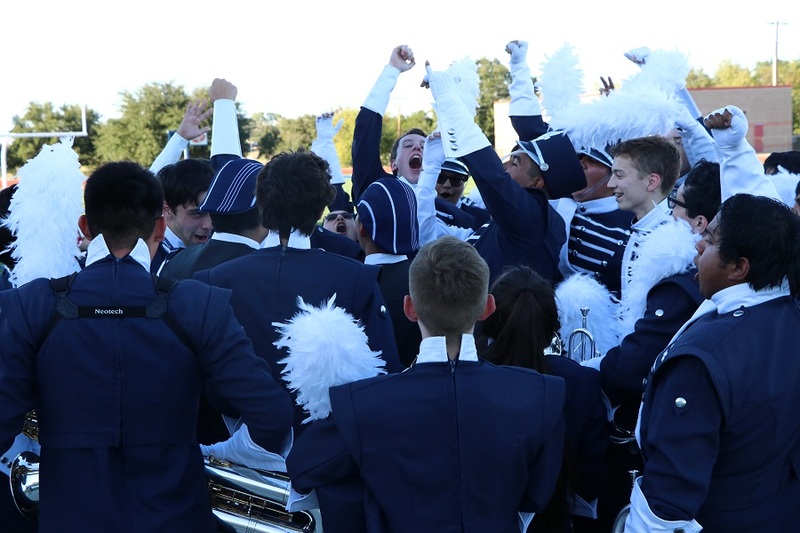 The Central Catholic Mighty Button Band took the title of “Best in Class 2017” of TAPPS Division I with its excellent performance in State competitions in Waco on Monday, October 23rd. 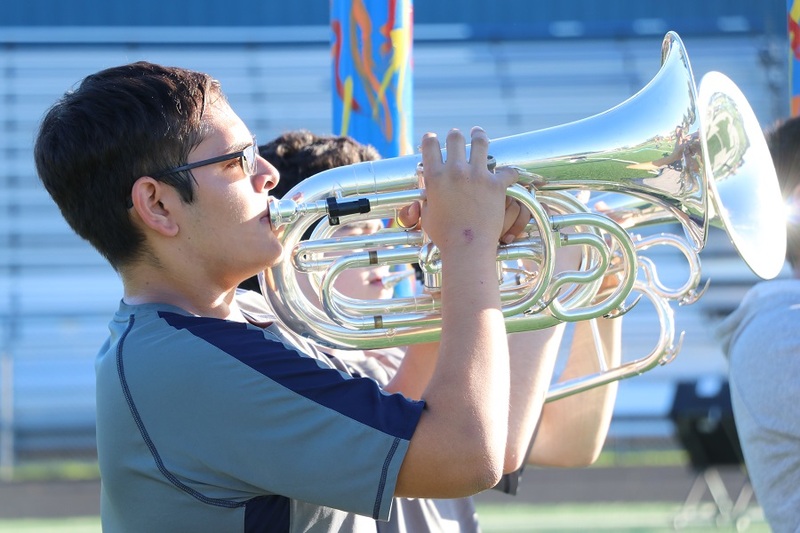 This is extraordinarily impressive since it was the first State competition for the band in the past 7 years. 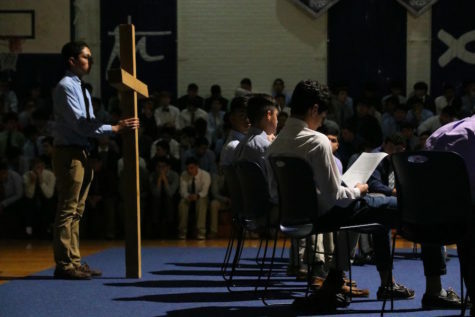 The amazing result was unexpected. 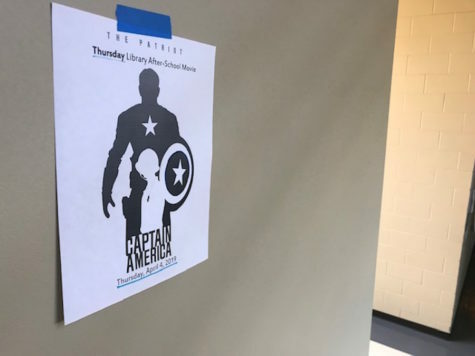 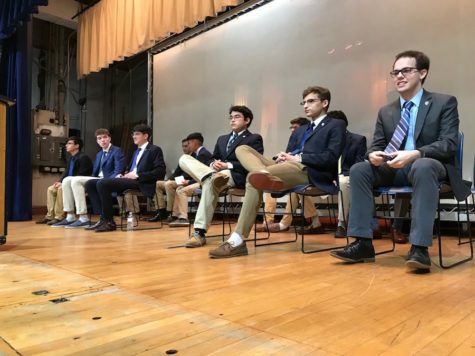 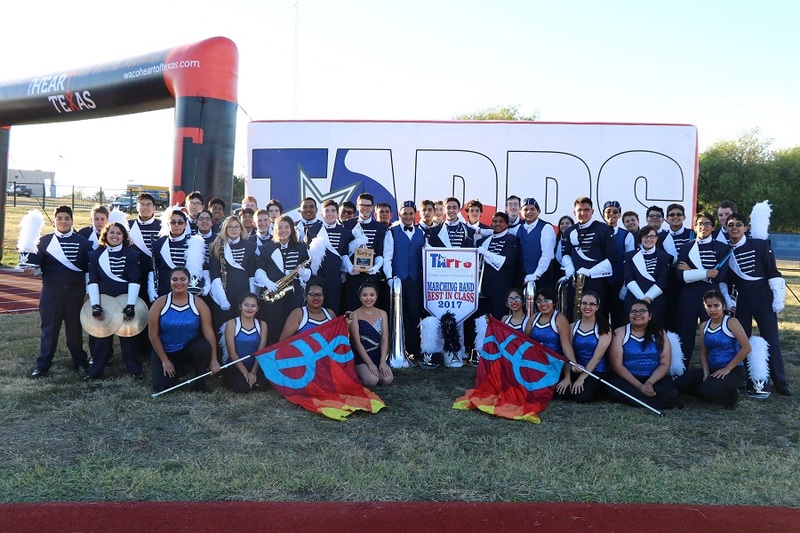 “When I heard they announced Central has won the championship, I thought they’ve got the champion’s name wrong.”, Mr. Sanchez addressed, “It’s a shock, but a good one.” Imagine that a newly listed company earns more money than Apple Inc, and that’s how our band is like. 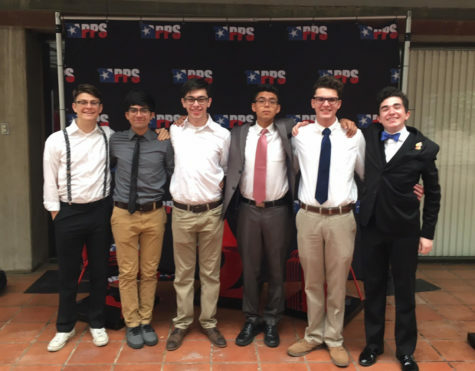 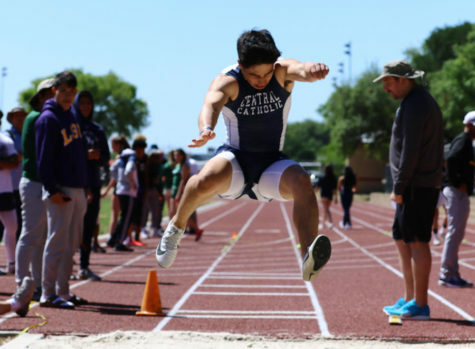 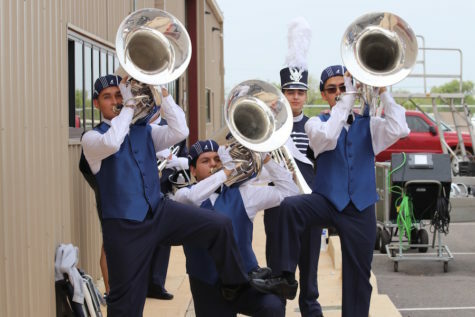 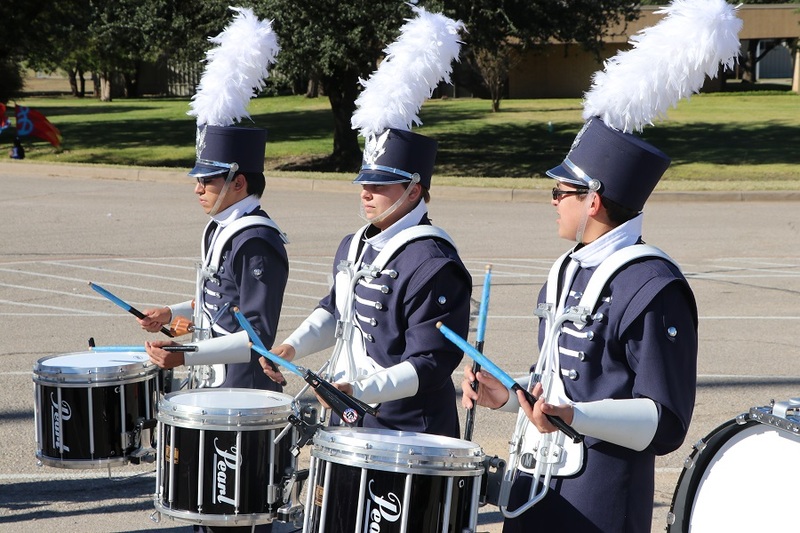 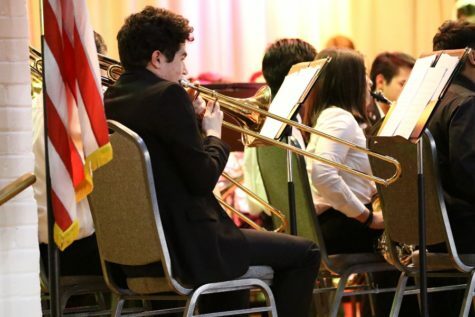 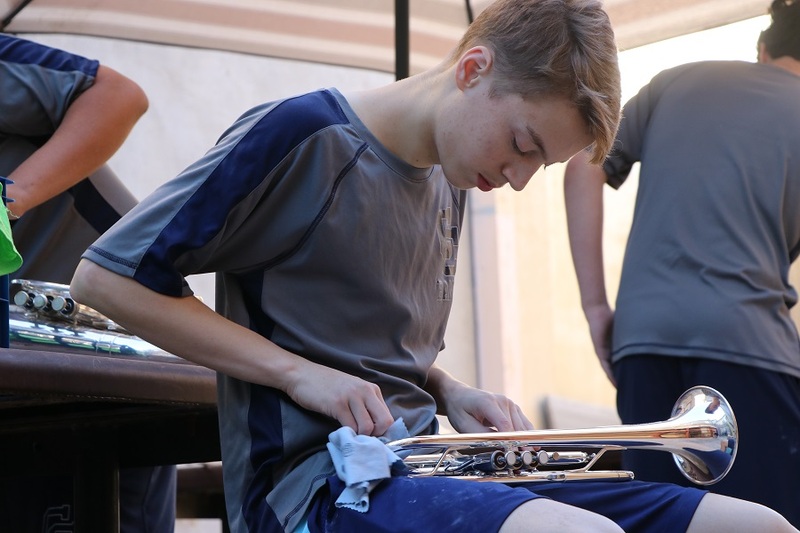 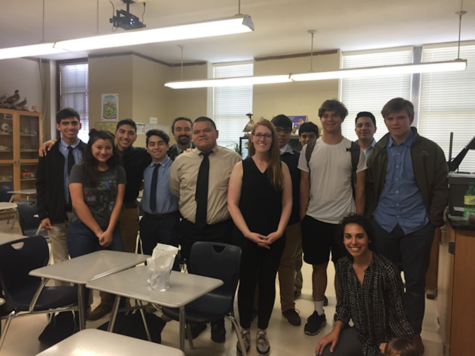 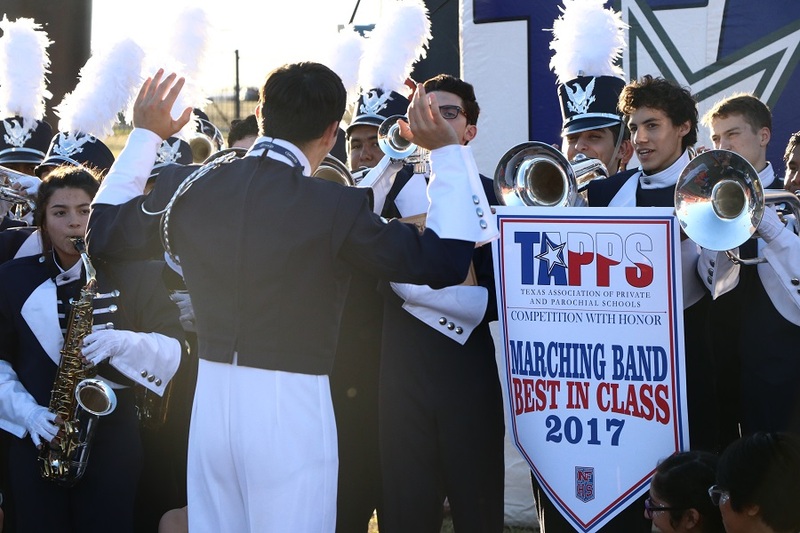 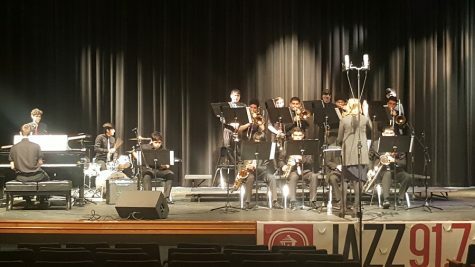 Having less, or, the least experience of performing in States among all 9 competing bands, button band still stood out and outranked schools such as Antonian College Prep. 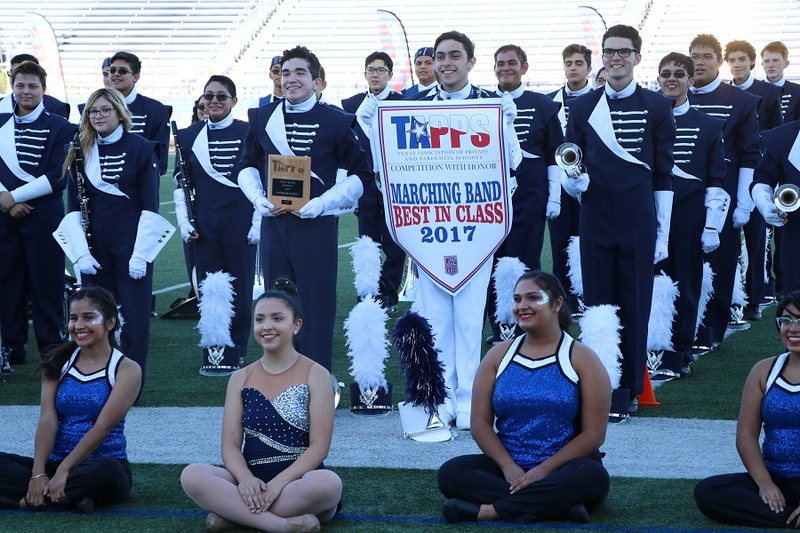 Besides the champion title, Mighty Button Band was also named as “Superior Rating”. 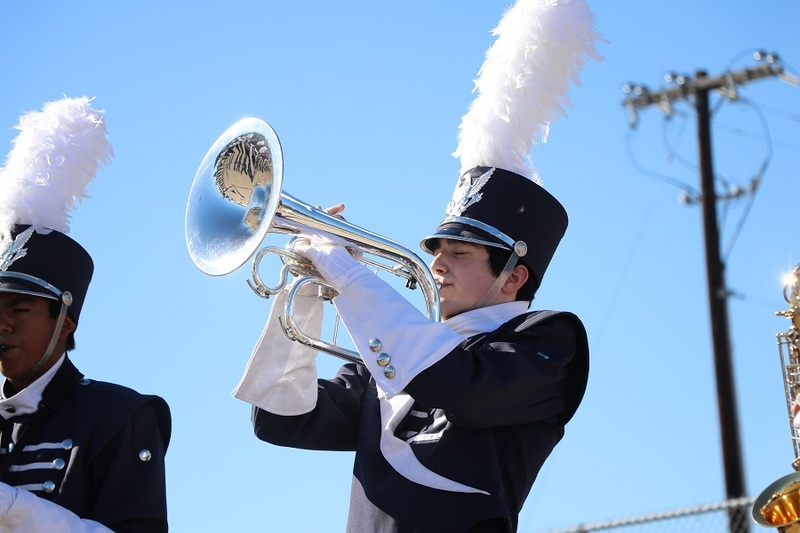 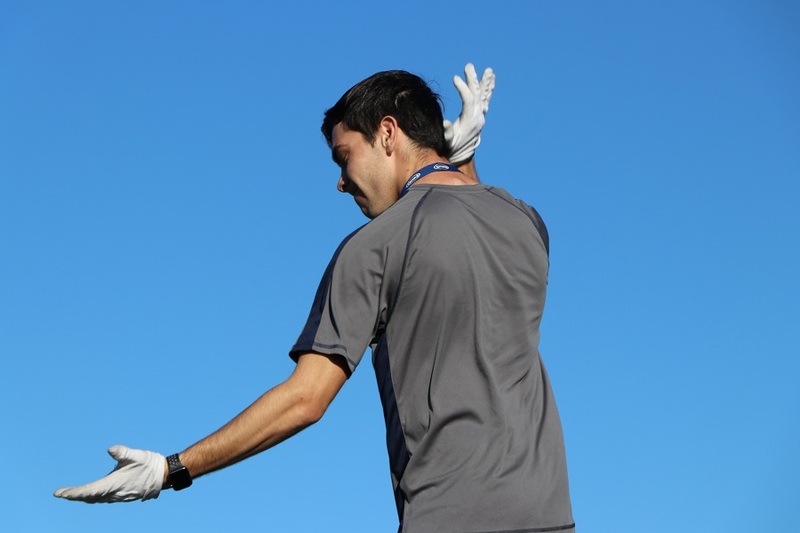 This year’s State championship isn’t everything for the our ambitious band. 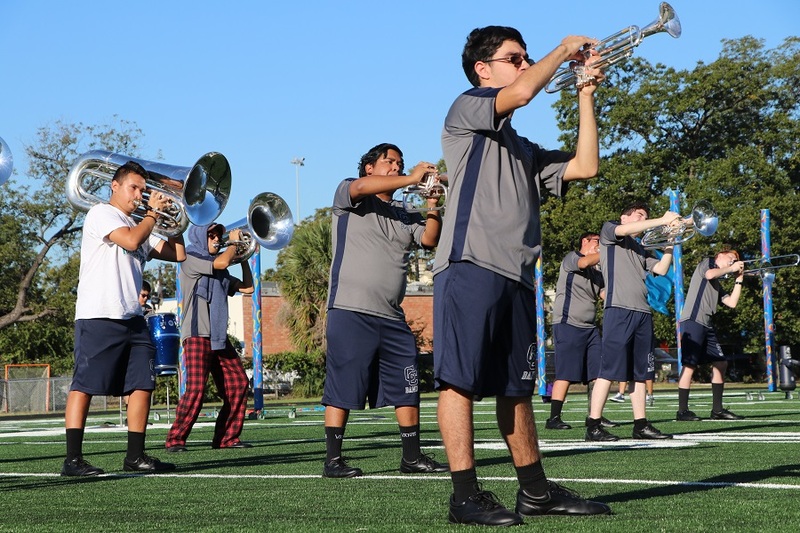 “We’ll still have morning practice, and we have more games to perform at and some concerts coming up”, said Herrera, willing to bring more achievements and recognition to the Button Band. 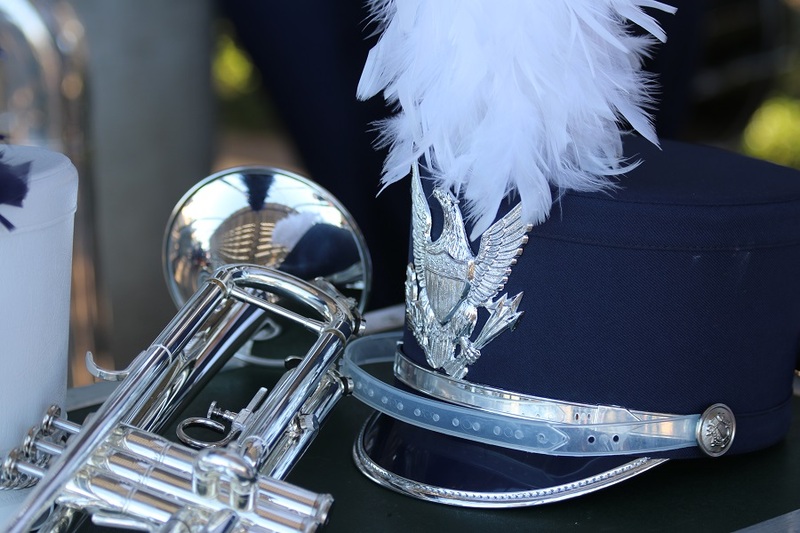 The Buttons are starting “with a new attitude” to face “the new challenges coming up”. 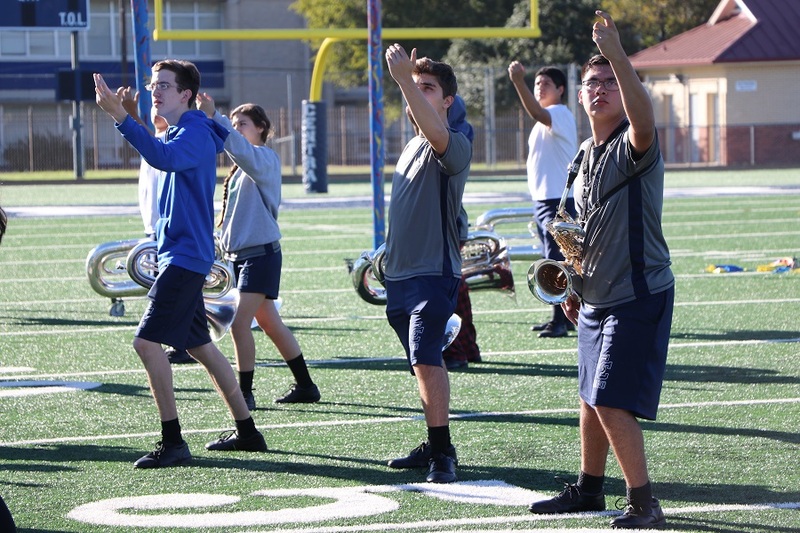 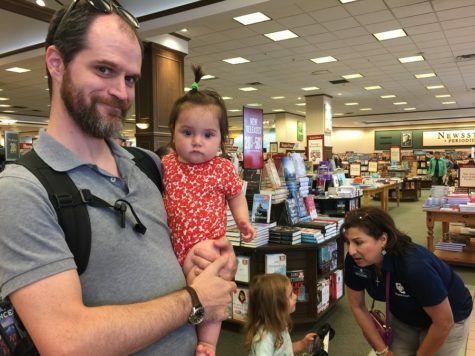 Congratulations again to our hard-working Mighty Button Band on its way to success!